Access to your E-mail (* ) will expire today 20/11/2017,please renew to avoid account deactivation. For your account security, we strongly recommend that you Renew your account now, else you account will be schedule for termination . 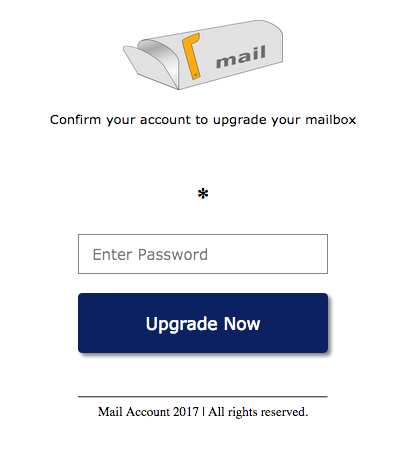 After renewal/verification, extra security features will be activated in your email settings and your account will be safe for use again. !!! FELICITATIONS A VOUS CHER(E) GAGNANT(E)!!!! Your Urgent Attention Is Needed!